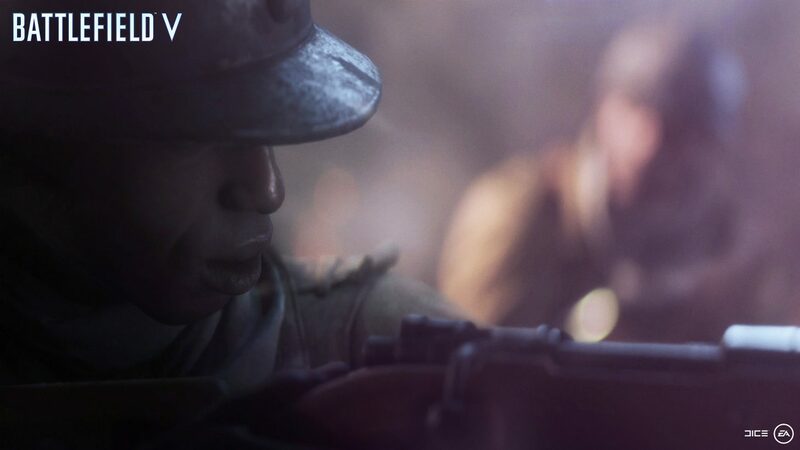 While Battlefield V offers a plethora of entertaining game modes, its single player War Stories feature is a unique and truly engrossing experience. Rather than offering us a one character storyline from start to finish, Battlefield V takes us around the war, exploring different stories from the perspectives of a variety of characters, including "The Last Tiger," which comes with the new Battlefield V update 1.04. There are four stories to play through and we're taking a deeper loook at each below. One of the most intriguing facets of Battlefield V's war stories feature is how we get to explore parts of World War II that we never heard of. A perfect example of this is the German occupation of Norway, which began in 1940 and lasted until the end of the war in 1945. In 'Nordlys', we get to play as Solveig, a young resistance fighter, who is fighting, not only for her country's freedom, but also to rescue a member of her family. This is yet another World War II tale which has flown under the radar until recent years. In 'Tirailleur' we play our part in a Senegalese Tirailleur unit who are fighting for the French Army against the German invasion. It's a story that has a number of interesting layers. Firstly, there is the strange dynamic of the Senegalese troops fighting to free a 'homeland' they have never actually seen before. Then there is also the fact that - as we now know in retrospect - their efforts in Southern France, while mighty, will not gain the fame of more exalted battles. Another engaging aspect of the story is the difference betwen the youthful excuberance of our main character, Deme, as he first ventures into war, and the weary narration of his older self, as he reflects on a challenging and often gruesome experience. 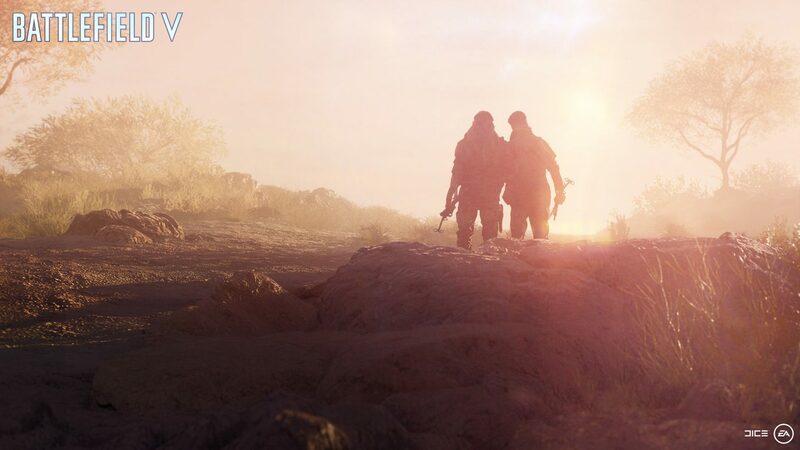 Eric Holmes explains "I think it will show people a new face of the war," while Battlefield V's cinematic director, Pelle Hallert, said "Brother to brother, and soldier to soldier, they were respected, but from a national perspective, that's where the tension lived." You may have heard of the British Special Air Service but the history of the Special Boat Section (SBS) is something that is equally as engrossing, and the inspiration for the 'Under No Flag' war story. It begins in a London prison, where our playable character, Billy Bridger, is spending his days locked up in a cell. His chance at freedom, of sorts, comes in the form of the SBS, where he leaves Britain and journeys deep behind enemy lines with vetarn officer, George Mason. The SBS was a refuge of soldiers with what could be described as a 'different set of talents' to the norm. While they may have lacked the discipline to excel in a run-of-the-mill operation, the SBS rewarded their independent thinking and ability to adlib on their feet. Bridger's explosives knowledge is quickly put to good use but as mentioned, when things go wrong you're going to have to adapt instantly if you are to survive. Billy's relationship with Mason is also at the heart of this tale, with Pelle Hallert saying "The dialogue and the drama between these two characters, while they are squabbling and arguing, is a pretty light story and very charming, and very British in the way that they relate to each other." The first Battlefield V update brings with it the release of their final war story 'The Last Tiger' and the only one where we get to see the war from the perspective of the German army. Peter Muller is a German commander who is leading his troops from the cockpit of a Tiger I tank in the dying days of the war. The tank itself was one of the most feared weapons in the German arsenal but will it bring them to safety in a territory they are quickly losing? The trailer for the war story gives us a taste of what to expect and it looks absolutely enthralling. Win a copy of Battlefield V! During what war is Battlefield V set?